Happy Monday, Fountain Hills! This week’s Monday Member Spotlight is on our local McDonald’s restaurant, as they want everyone to know they will remain open during their remodel construciton! For everyone was nervous they were not going to be able to grab a Big Mac or Happy Meal for a few months- have no fear! The Fountain Hills McDonald’s location wants everyone to know they will be able to accommodate customers on a modified schedule once construction starts. 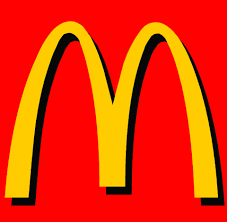 Jose Quiroz, of the local McDonald’s location, has let us know that the tentative dates for groundbreaking is tomorrow, January 22nd, and the targeting completion date will be March 29th. The first phase of the construction is scheduled from January 22nd until February 18th. From January 22nd through February 3rd, the drive-through windows will be closed, but guests can dine inside the location’s lobby. The restaurant will have a full closure for two weeks from February 4th through the 18th. The second phase of construction will be February 19th, until the reopening date of March 29th. During this phase of the construction the lobby will be closed for guests, but those looking to get their McDonald’s fix can still pull through the drive through. As a thank you for being patient and going through the remodeling phases, McDonalds Fountain Hills is bringing back their offer of a free sandwich of your choice. This offer is only valid at the Fountain Hills location. The McDonald’s staff wants to also mention that the dates above are tentative, and can change due to unforeseen circumstances. Questions? Please email McDonald’s at rcm.10896@us.stores.mcd.com or call 480-837-0033.